Randolph Nesse coined the term smoke detector principle to explain why some people display an exaggerated response to threats, perceived and real, resulting in anxiety disorders and panic. He writes “False alarms are to be expected” because of uncertainty about the nature of a threat. That alarming noise behind you that triggers an involuntary intake of breath and a racing heart might simply be a harmless falling branch, or a charging grizzly bear. The overreaction to the falling branch evolved because hair-trigger reactions protect us from the far greater cost of being eaten alive. Beyond panic, the smoke detector principle applies to host defenses such as fever, cough, as well as signaling systems involving microbes. Even more than grizzlies, many microbes are potent killers. If, as Nesse suggests, we harbor threat detectors that are akin to a smoke detector, pathogen detectors might also be prone to overreaction, but reliably protect us when actual fires – infections – happen. Toll like receptors (humans have 11 kinds) are the body’s smoke detectors that provide a first line of defense against bacteria and viruses. The toll like receptor 4 (TLR4) is activated by lipopolysaccharide (LPS), part of the cell wall of gram negative bacteria, such as Escherichia coli. Given experimentally, LPS causes symptoms identical to septic shock – a brisk fever and dangerous loss of blood pressure. LPS is fatal to humans in doses as low as 1-2 grams. These responses appear to be dangerous overreactions. Might blocking the LPS-TLR4 pathway prevent excess inflammation and death in sepsis? This was the thinking that led to eritroran, an experimental blocker of toll-like receptor TLR4. Whether the immune system goes rogue in sepsis is critically important because septic shock is a leading cause of mortality in humans. Multiple randomized controlled trials have tested new anti-inflammatory agents with the aim of improving sepsis survival. Only one immune modifying drug, recombinant activated protein C passed through phase 3 clinical trials, gaining FDA approval. Despite this supposed success, later definitive trials involving recombinant activated protein C showed it to be useless and it was unceremoniously yanked from the market in 2011. With respect to the TLR4 pathway, another antagonist of TLR4 similar to eritoran, TAK-242, also failed to improved sepsis outcomes in a randomized controlled trial. More than 10 anti-LPS/TLR4 agents have been tested in sepsis. None have led to successful therapies. There were additional clues that interfering with toll-like receptors is a bad idea. Previous trials using antibodies directed at the TLR4 ligand LPS failed to improve infectious outcomes. Gene knockout mice lacking TLR4 promptly died of overwhelming sepsis. Human patients with sepsis are more likely to die if they have reduced expression of TLR4. Maybe it’s not a good idea to disable the smoke detector. 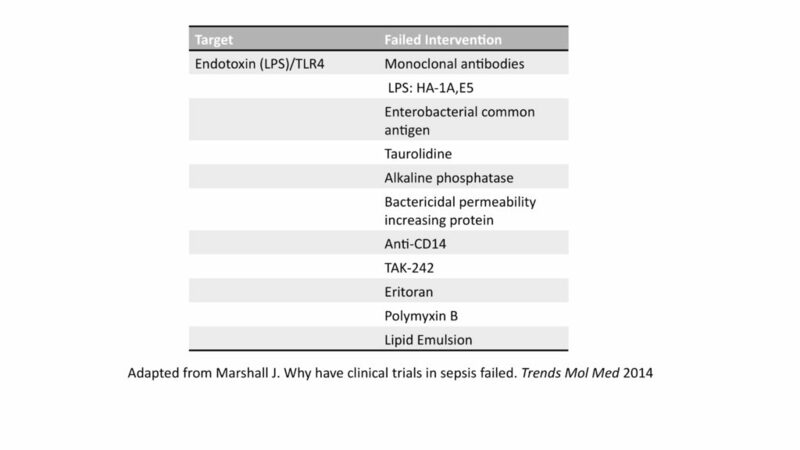 A recent review, entitled Why have clinical trials in sepsis failed? detailed more than 100 failed clinical trials of immune and other therapies in sepsis. Most of these trials target the body’s response, not the invading pathogen. These studies were, in effect, tests of the hypothesis that sepsis is a syndrome of excessive self-harm. The evidence is now in. It’s time to reject that hypothesis. In many cases investigators have doubled down, recommending blocking multiple inflammation pathways in sepsis. 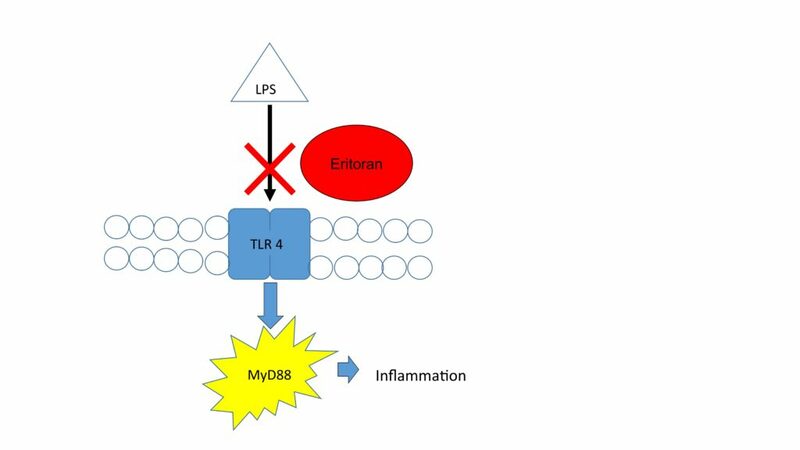 Savva and Roger proposed targeting TLR9 in addition to TLR4 and wrote: “blocking one single pathway may be insufficient to interfere with the deleterious cascade of events observed in sepsis.” In a recent article in the Journal of Infectious Diseases, Gustavson and colleagues propose that a combined inhibition strategy of TLR4 plus complement might be a promising treatment for human sepsis. These approaches will also fail, if history is any guide. The underlying assumptions of some sepsis researchers apparently have a momentum of its own that is hard to slow down or reverse, especially when it is rewarded with grant dollars. Another explanation – that pathogen recognition by TLR is adaptive and generally beneficial in sepsis – is unmentioned. In sepsis, inhibiting the pathogen detector prevents some of the costs of the immune response, but it also eliminates the benefit. Making the immune system blind to invading pathogens is no more likely to be helpful than losing one’s sight during a grizzly bear attack. The fact that TLR antagonists, and immune antagonists generally, have never improved survival in patients with sepsis suggests that the benefits of TLR activation outweigh its substantial costs. 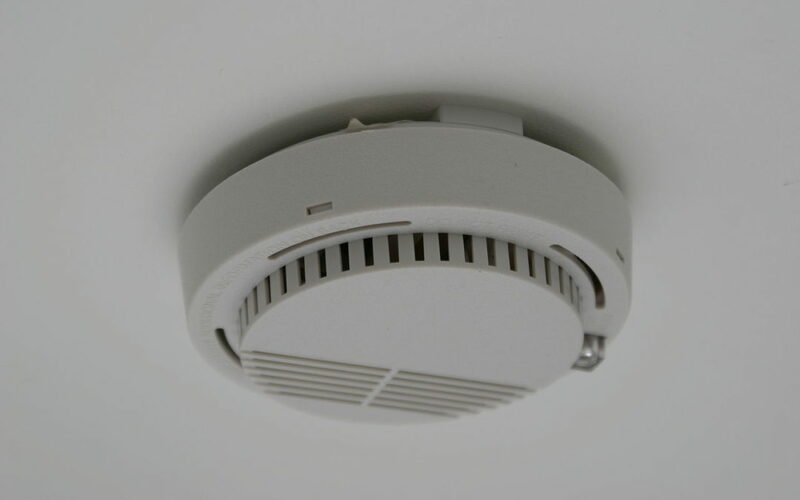 The smoke detector principle suggests that selection favors responses to life-threats that sometimes appear excessive, but are adaptive and beneficial in the aggregate. This does not mean that every immune response in every individual is optimal. Our genomes have only an evolutionary legacy of ancestors who survived infections (at least until the age of reproduction) to guide them. For our patients, we just don’t know whether, or in what direction, to adjust the immune response to sepsis. But it is time that we stopped acting as if we did, and spent more time trying to understand the adaptive tradeoffs that have shaped our immune systems. Tidswell M, Tillis W, LaRosa SP, Lynn M, Wittek AE, Kao R, Wheeler J, Gogate J, Opal SM, Eritoran Sepsis Study Group. Phase 2 trial of eritoran tetrasodium (E5564), a toll-like receptor 4 antagonist, in patients with severe sepsis. Critical care medicine. 2010 Jan 1;38(1):72-83. Opal SM, Laterre PF, Francois B, LaRosa SP, Angus DC, Mira JP, Wittebole X, Dugernier T, Perrotin D, Tidswell M, Jauregui L. Effect of eritoran, an antagonist of MD2-TLR4, on mortality in patients with severe sepsis: the ACCESS randomized trial. Jama. 2013 Mar 20;309(11):1154-62. Marshall JC. Why have clinical trials in sepsis failed?. Trends in molecular medicine. 2014 Apr 30;20(4):195-203. Nesse RM. The smoke detector principle. Annals of the New York Academy of Sciences. 2001 May 1;935(1):75-85. Dinges MM, Schlievert PM. Comparative analysis of lipopolysaccharide-induced tumor necrosis factor alpha activity in serum and lethality in mice and rabbits pretreated with the staphylococcal superantigen toxic shock syndrome toxin 1. Infection and immunity. 2001 Nov 1;69(11):7169-72. Thomas L. Germs. New England Journal of Medicine. 1972 Sep 14;287(11):553-5. Bernard GR, Vincent JL, Laterre PF, LaRosa SP, Dhainaut JF, Lopez-Rodriguez A, Steingrub JS, Garber GE, Helterbrand JD, Ely EW, Fisher Jr CJ. Efficacy and safety of recombinant human activated protein C for severe sepsis. New England Journal of Medicine. 2001 Mar 8;344(10):699-709. Ranieri VM, Thompson BT, Barie PS, Dhainaut JF, Douglas IS, Finfer S, Gårdlund B, Marshall JC, Rhodes A, Artigas A, Payen D. Drotrecogin alfa (activated) in adults with septic shock. New England Journal of Medicine. 2012 May 31;366(22):2055-64. Nahra R, Dellinger RP. Targeting the lipopolysaccharides: still a matter of debate?. Current Opinion in Anesthesiology. 2008 Apr 1;21(2):98-104. O’brien AD, Rosenstreich DL, Scher I, Campbell GH, MacDermott RP, Formal SB. Genetic control of susceptibility to Salmonella typhimurium in mice: role of the LPS gene. The Journal of Immunology. 1980 Jan 1;124(1):20-4. Schaaf B, Luitjens K, Goldmann T, van Bremen T, Sayk F, Dodt C, Dalhoff K, Droemann D. Mortality in human sepsis is associated with downregulation of Toll-like receptor 2 and CD14 expression on blood monocytes. Diagnostic pathology. 2009 Apr 16;4(1):1. Rice TW, Wheeler AP, Bernard GR, Vincent JL, Angus DC, Aikawa N, Demeyer I, Sainati S, Amlot N, Cao C, Ii M. A randomized, double-blind, placebo-controlled trial of TAK-242 for the treatment of severe sepsis. Critical care medicine. 2010 Aug 1;38(8):1685-94. Matsuyama K. Eisai’s Severe Sepsis Drug Fails in Final Stage Study. Bloomberg News January 25, 2011. http://www.bloomberg.com/news/articles/2011-01-25/eisai-s-sepsis-drug-eritoran-fails-to-save-more-lives-in-final-stage-study. Savva A, Roger T. Targeting toll-like receptors: promising therapeutic strategies for the management of sepsis-associated pathology and infectious diseases. Frontiers in immunology. 2013 Nov 18;4:387. Gustavsen A, Nymo S, Landsem A, Christiansen D, Ryan L, Husebye H, Lau C, Pischke SE, Lambris JD, Espevik T, Mollnes TE. Combined inhibition of complement and CD14 attenuates bacteria-induced inflammation in human whole blood more efficiently than antagonizing TLR4-MD2.Journal of Infectious Diseases. 2016 Mar 14:jiw100. As an inference to the best explanation, a hyper immune response fails miserably as the cause of sepsis. Individuals with sepsis are already immunosuppressed upon admission to the hospital and develop extensive lymphoid apoptosis during the course of their disease. So by the time multi-organ failure sets in the immune system can’t even mount an effective immune response much less produce enough of anything that could could cause generalized organ failure. Studies using immuno-stimulants have failed; likewise studies employing immuno-suppressives. There is nothing special about the immune system that should allow it to survive when every other organ is fails. Organ failure affects the immune system as it does every other organ in the body. There is nothing left to conclude except that the immune system does not have a causal role in sepsis and is doing as much as it can under the conditions it finds itself in. But what are those “conditions”? The identical sepsis syndrome occurring in non-infectious conditions such as severe poly-trauma and acute pancreatitis is an indication of a common contemporaneous physiological response that we don’t yet associate with disease. It’s off the clinical radar. To compound the difficulty, this response is producing something (a molecule) that creates the “conditions” leading to failure of every organ in the body. From an evolutionary perspective, it appears that redundant physiological protective systems against this noxious response have not evolved and we are left with only one or a very few exhaustible protective mechanisms. With today’s technology we are no longer constrained by our inability to quantify the body’s response to disease. Our biggest hurdle to understanding problems such as sepsis resides not in technology but in psychology. If we are ever to see the cause of sepsis (and other diseases such as inflammatory bowel disease) we must free ourselves from the mental chains that bind us to the immune response. Only then are we unencumbered to go where the evidence takes us. Endless aimless experiments serve no purpose. We must think our way forward. And until that time, sepsis research will continue to be a very expensive and hyperactive exercise in laboratory futility.